The non-uniform FFT (NuFFT) has been widely used in many applications. 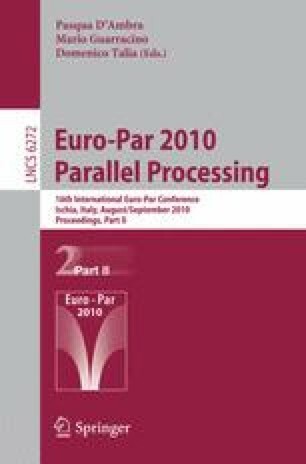 In this paper, we propose two new scalable parallelization strategies to accelerate the data translation step of the NuFFT on multicore machines. Both schemes employ geometric tiling and binning to exploit data locality, and use recursive partitioning and scheduling with dynamic task allocation to achieve load balancing. The experimental results collected from a commercial multicore machine show that, with the help of our parallelization strategies, the data translation step is no longer the bottleneck in the NuFFT computation, even for large data set sizes, with any input sample distribution.